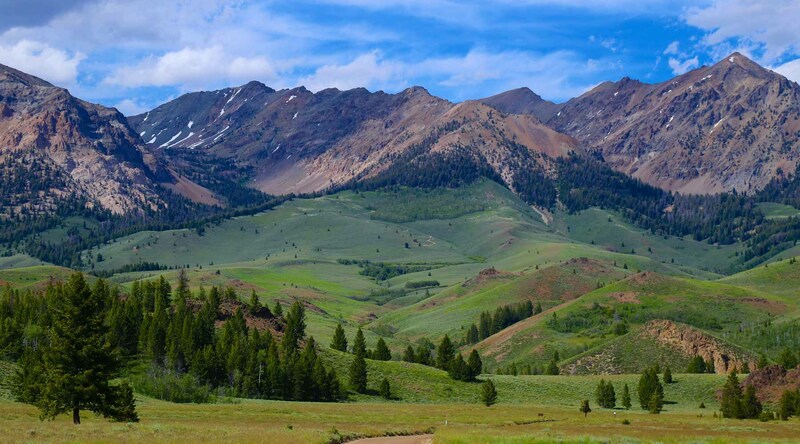 Sun Valley has been long thought of as one of the happiest places in America, and, with the gorgeous mountain landscape, welcoming community, and sunny vibe, it’s easy to see why. To help you make the most of your trip, Xplore Team expert Jacquie has outlined a sample 5-day itinerary. Family reunions are special and memorable but planning them can be downright stressful. Trying to organize outings and activities for everyone from Grandpa to those crazy cousins is a fulltime job and can tarnish an otherwise wonderful time together. Opt to take the worry-free road with the help of our Xplore Team, who can handle every detail, from recommending the perfect vacation home to arranging activities before your arrival. This year, host your family reunion in Sun Valley, where the sun shines over 300 days a year and your family is sure to make memories that will warm the hearts of every generation. Ask the Xplore Team to arrange for bike rentals before your arrival so that they will be waiting for you at your accommodation and you are free to spend the afternoon riding around and getting to know the town. Visit the beloved Sun Valley Ice Rink and beat the heat on the ice, an area summer tradition! Be sure to also enjoy the mountain views from the lounge area. Overlooking Baldy, the Boulders, and Galena Peak, there’s no better spot in Sun Valley to enjoy a nice steak. Ride to the summit of Bald Mountain with your bike and enjoy the journey back down on two wheels after an incredible meal. Take the gondola, along with your bikes, to the top of Mt. Baldy and admire the panoramic valley views. You can park your bike outside the restaurant while you eat. When the gondola reaches its peak, stop for lunch at The Roundhouse for gourmet fare just as amazing as the views from the deck. Take the Roundhouse Connector trail to Bald Mountain Trail, a local favorite, and soak in the views of Ketchum and the Wood River Valley as you ride to the base of the mountain. On your way to Redfish Lake, stop into Sawtooth National Forest and enjoy the scenic drive. Dig into a big plate of French Toast or any of the other amazing breakfast items served at The Kneadery—you’ll need your strength for the exciting day ahead! Take a day trip to Redfish Lake, an hour’s drive from Sun Valley. Here you can rent a boat, go fishing, or rent bikes to ride around the lake. The Xplore Team would be happy to organize activities for you to best enjoy the lake. The Xplore Team is happy to arrange catering to your accommodation so that your group can feast comfortably at home without planning a night out or doing any of the cooking – or cleaning. Take a scenic tour of Dollar Mountain on horseback and see Sun Valley from the perspective of an old west traveler. Tours typically last about an hour. A fun, casual restaurant in Ketchum with burgers and live music. Sun Valley’s active arts and culture community always has something to offer—including a free summer concert series, music festivals, and a variety of exciting performers. In addition to arranging tickets, the Xplore Team can recommend events that fall within your vacation dates. The Salmon River, which is accessed in Stanley, is one of the last undammed mountain rivers in the U.S., making it an incredible place to go rafting. There are many types of river trips ranging from scenic floats to Class 3 rapids, perfectly suited for adventurous families. After the excitement of the float trip, slow things down a little and enjoy the scenery on a leisurely wagon ride on Dollar Mountain. Be sure to pack your camera! Share a couple of pies on the patio of Smoky Mountain Pizza and take one lasting look at Bald Mountain on your last evening in amazing Sun Valley.